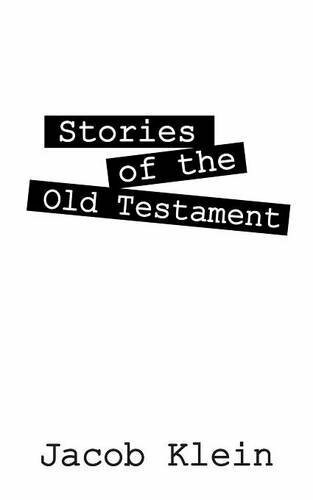 When I saw the title, “Stories of the Old Testament,” I was looking forward to reading this book by Jacob Klein. I was even excited when I saw that his target audience is those who appreciate “simple language” and want a perspective from an “average Joe” (like Klein) instead of a theologian or minister. I believe this is a great mission and responsibility! As a Christian, I am all for making the Bible and its message of redemption and salvation easy to understand for everyone. The Good News is good news, after all. It is important that all audiences are able to understand these concepts. My excitement soon soured, though, as I learned what Klein meant when he said “simple language” that doesn’t include a “theologian” or “minister” perspective. It meant that this book would be written from Klein’s limited perspective. If you are expecting this book to include various interpretations or understandings of each story, you will be frustrated. Instead, each story feels like I was reading a series of early college essays that the author wrote about these stories based on his own personal experience, presenting little research from what others have said. I feel his writing style needs to be developed more as it currently feels like reading a series of essays in a college Bible class, and even though he was shooting for a simple perspective for the average Joe, a book about Bible stories, in my opinion, should have been based on a broader resource list and research. I do believe that it is important to seek out spiritual mentors to help in understanding a text (which I believe can include other books and resources). As it is, the bibliography includes six resources: Three books, (including the Bible) and three videos. My main discontent is the interpretation of historical events (like the description of Jews and the Roman Empire and other such statements), as I believe one’s own view should have an extensive research back up, especially on stories that are looked to in a historical and faith based context. Again, I really wanted to like “Stories of the Old Testament” by Jacob Klein, but I feel it wasn’t what expected from reading its synopsis. Although his interpretation did not do it for me, if the reader is looking for the author’s own point of view on the stories from the Bible, then they should check it out.